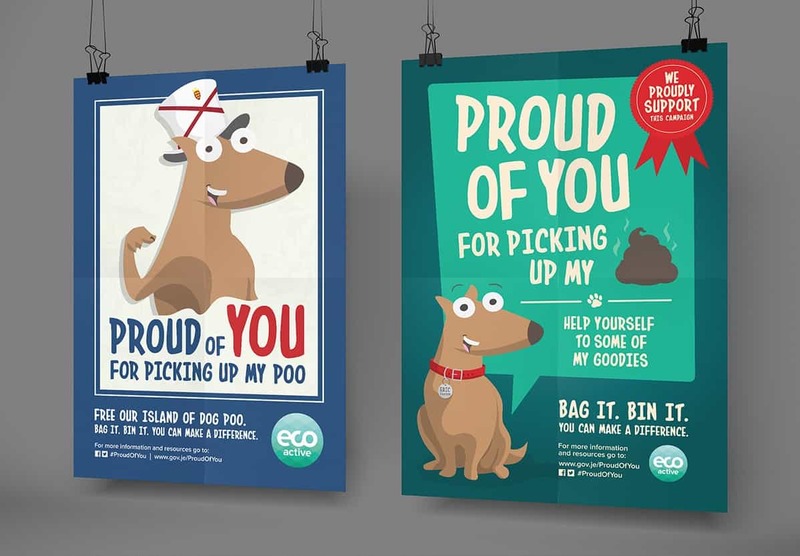 The main objective was to promote positive social and environmental change in Jersey through a targeted, engaging, coordinated and integrated 6-month marketing campaign, that would significantly reduce the amount of dog poo across the island, and positively influence the minority who are not picking up after their dogs. 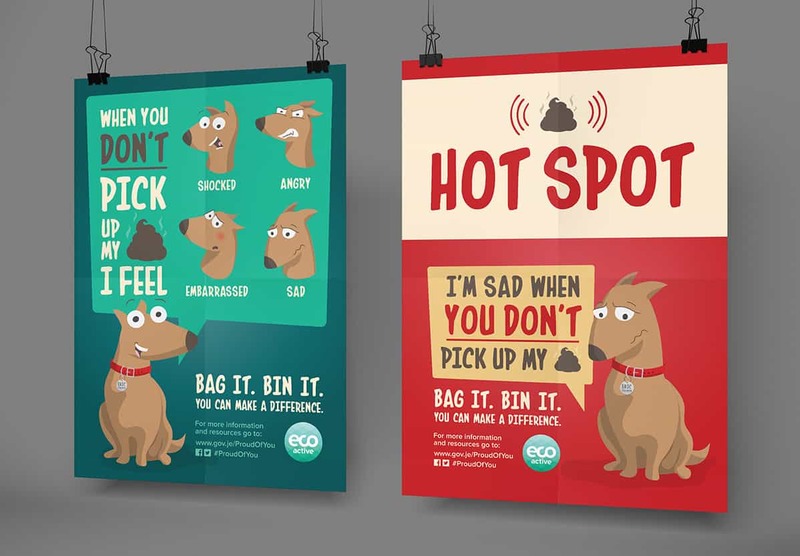 We were asked to create a campaign that would raise awareness of the problems and dangers caused by dog poo to humans, animals and the environment; promoting the core message of “bag it and bin it” and that normal bins suffice. It was vital that all activity would be sustainably responsible and resources would have a minimal negative impact on the environment, be sourced ethically and, where possible, locally. The campaign was also required to demonstrate ‘value for money’ to the Environment Department, eco active and the taxpayer by assessing the impact, results and momentum of the campaign against a small budget. "We saw some high quality entries this year, and this campaign is a great example of our profession’s hard work over the past 12 months. 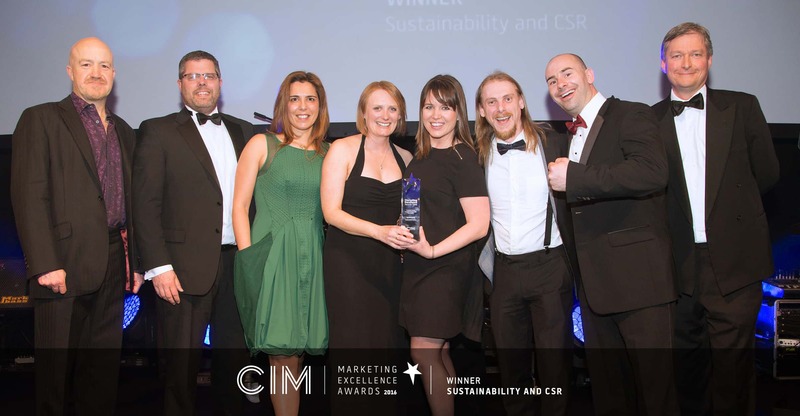 This year’s winners are varied and innovative, and showcase a range of exceptional campaigns – this campaign should feel proud to be standing amongst such talented teams. " 88% poo reduction across hotspot sites. Wardens recorded not just a reduction, but less poo than the previous week. Meaning the public picked up and removed poo that was not their dog’s that had previously been sprayed and recorded. Poo was measured/picked up at hotspots and the difference recorded one week later. For example, Queens Valley Reservoir went from 37 to zero, which was praised by walkers and Jersey Water who own the site. In two urban hotspots with 12 incidents of dog poo decreased to zero. Wardens ascertained there were same re-offenders in certain areas. The campaign gave police the opportunity to approach them to discuss potential consequences. 100 people got out of bed for the ‘Big Poo Pick Up’ at the worst hotspot and filled almost 300 bags! Eco-friendly merchandise used: 10,000 biodegradable poo-bags, 1,000 badges and 500 locally sourced household bin stickers that encouraged dog walkers to use them for their waste. These have longevity and reinforced the message that normal bins suffice. A public consultation has launched. Public calling for a change in the law and DNA testing. View consultation online. Public government buildings changing dog signage. Carried out poo surveys in other areas nominated that fell outside of the top ten.